Click here to view archived versions. 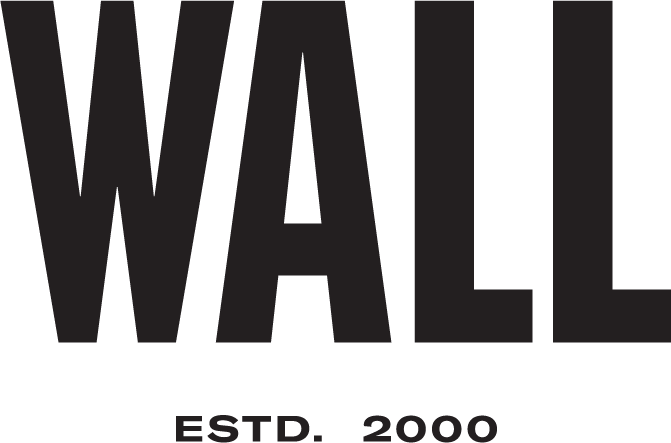 We are The Wall Group, a division of International Management Group (UK) Limited, and its affiliates (“The Wall Group”) and respect your privacy. Your personal information is collected by International Management Group (UK) Limited (Registered Number 00946580) and its affiliates ("we"/"us"/"our"). Certain types of personal information are more sensitive than others. "Special information" about you includes information about health, disability, race, ethnicity, or biometrics. We may collect and receive special information about you. dealing with individuals who work for them. conducting research to improve our services. Some personal information is treated as falling into a special category. This includes information about health, disability, race, ethnicity, political opinions, biometrics or religion and used to be known as sensitive personal data. We will also receive information about you (including your personal information) if you use any other websites or apps operated or other services provided by us or our group companies. In this case, that information will be shared within the group and combined with information collected on this website.We will also receive and display information and content which you make publically available on your social media accounts. Some information is processed because you've given your consent to that (where consent is required). You can withdraw your consent at any time (in your account preferences or settings) or by contacting the Privacy Counsel at dataprivacy@img.com. In particular, data may be obtained from the following third parties: social networks, payment processing companies, Google Adwords, Linkedin, Google Analytics, Adobe Analytics and display partners. The information that we collect from you may be transferred to and stored at a destination outside the European Economic Area (EEA), including the USA which does not have equivalent data protection laws to those applicable to Europe. It may also be processed by staff operating outside the EEA who work for us, for one of our affiliated companies, or for the organisation that hosts our website. Some of these rights will only apply in certain circumstances. If you would like to exercise, or discuss, any of these rights, please contact the Privacy Counsel at dataprivacy@img.com. If you want to exercise any of these rights, please contact The Wall Group in writing at info@thewallgroup.com. We may use the information you give us on our website for direct marketing purposes to provide updates; newsletters; events; or other communications that we think may interest you. We will only do this with your consent (where required by law). You can opt-out of receiving direct marketing from us at any time. You can do this by changing your marketing preferences on your online accounts settings page, clicking on the "unsubscribe" link included at the end of any marketing email we send to you, or by contacting The Wall Group at info@thewallgroup.com. We use third party tools to personalise the advertising displayed to you on our website. We use third party tools, to make the advertising we show you on our website, Apps and / or our partner websites more relevant and interesting to you. We also use third party tools to provide advertising to you on third party non-partner websites (including social media websites such as Facebook). You may opt-out at any time from the collection and use of your data by contacting The Wall Group at info@thewallgroup.com. select AdsPrivacy. and toggle ON the switch next to Do Not Track to opt out of Ads Personalization. Do Not Track is now enabled on your Android device. The transmission of information via the internet is not completely secure. Although we will take reasonable measures to protect your personal information, we cannot guarantee the security of your information transmitted through our website and any transmission is at your own risk. Once we have received your personal information, we will use procedures and security features to try to prevent unauthorised access. If you would like to access previous versions of this notice please contact The Wall Group at info@thewallgroup.com. If you have any questions about this notice please contact our Privacy Counsel Privacy Liaison / Data: dataprivacy@img.com or Building 6, Chiswick Business Park, 566 Chiswick High Road, London W4 5HR or +44 20 8233 6510.